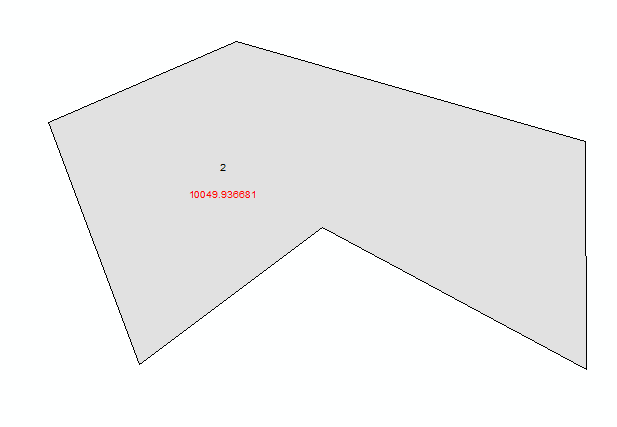 How do I organize the labels in the layout, for example, I want the label Year to be on the top of the Acres. I tried variety ways to do this using the Label Manager but can't seem to get it right Anyone have a better or suggest of a good way to solution this ? Is there a good reason why two label classes are being used? When labels are in a separate class, there is no guarantee they will be placed near each other. Why not just use one class with a label expression such as this? [YEAR] & vbNewLine & "<CLR red = '255'>" & [AREA] & "</CLR>"
See the help for more information on formatting tags. 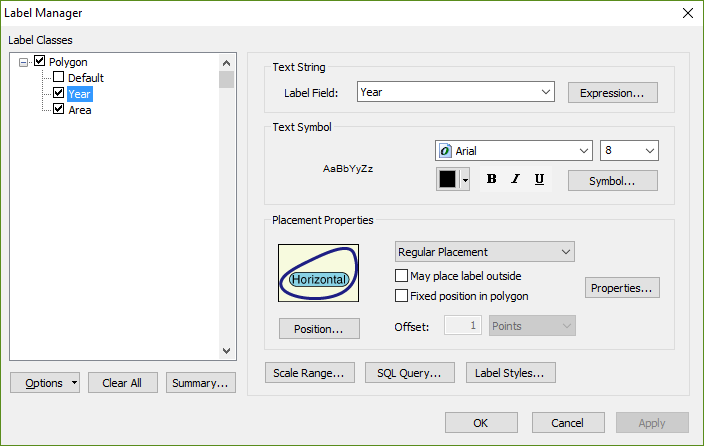 You can right click on the layer and then "Convert Labels to Annotation". Then you can manually drag the labels to where you want. I know this is a late answer, but it appears that there still is not a suitable resolution for this. My workaround was to create the label classes in the order that I want them to appear. Not the answer you're looking for? 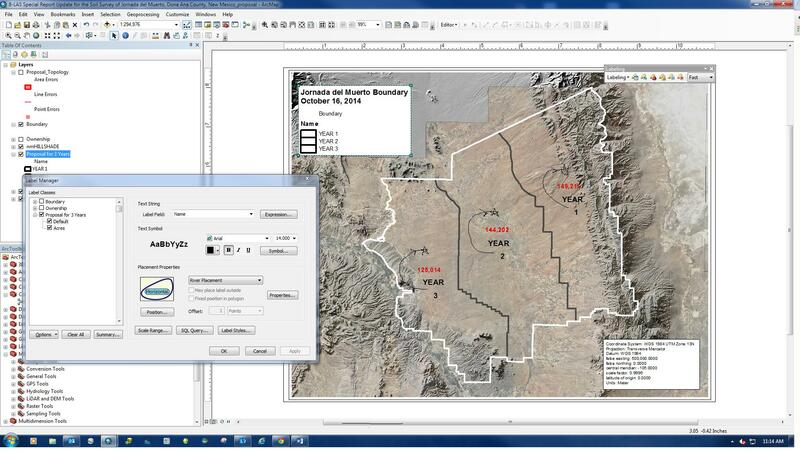 Browse other questions tagged arcgis-desktop arcmap arcgis-10.1 or ask your own question. How to position contour labels in Maplex above the line? How to convert Layout View to DXF or DWG?